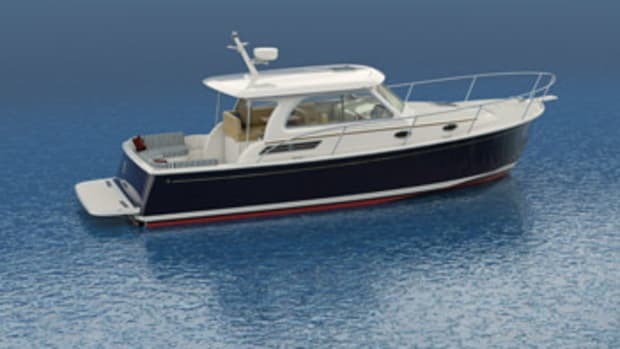 Ken Fickett, who builds Great Harbour trawlers in Gainesville, Fla., and used to build a line of small sportfishing boats under the Mirage name, is introducing a new Mirage 32-footer that can be set up as a sportfishing boat or cruising boat. Either way, it represents his philosophy of keeping things simple. 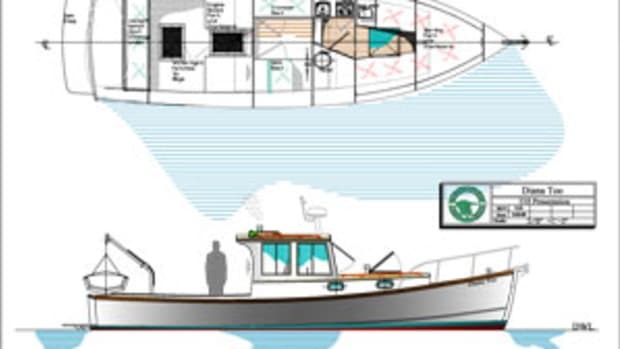 "Less boat equals more boating," says Fickett. "It should withstand the owner&apos;s &apos;cycle of interest,&apos; meaning that if it&apos;s less of a burden, he can go fishing or cruising for six months and then put it away without anxiety while he goes golfing or skiing for six months." Click to hear Fickett discuss his design philosophy. Fickett&apos;s approach is to minimize maintenance and worrisome problems while emphasizing efficiency and performance. "Even 35-footers can be built with no through-hulls and &apos;shoot-thru&apos; transducers, which eliminate potential problems," he says. He also advocates keeping electrical systems simple. "An inexpensive solar panel can keep the batteries charged instead of complicated charging systems." Challenging conventional wisdom, he also suggests owners would keep their boats longer if they were smaller and simpler. "People need to get back to having a &apos;marriage&apos; with their boat as opposed to having an &apos;affair,&apos; " he says. 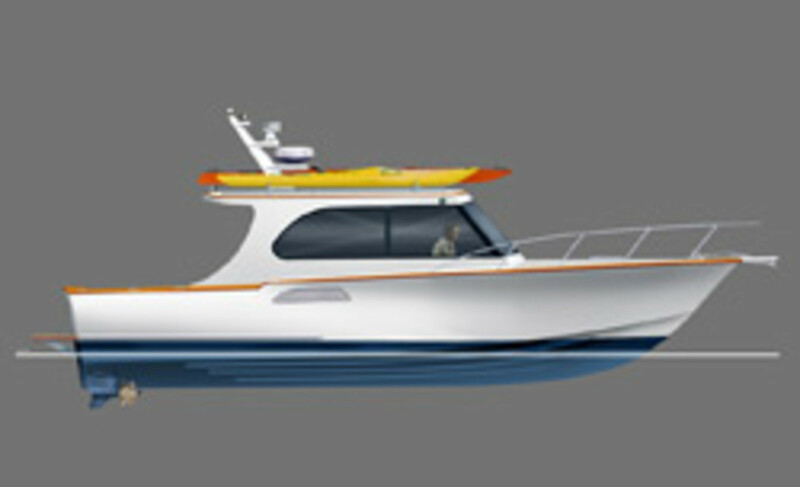 Fickett&apos;s first new 32 will be powered by Volvo&apos;s IPS pod drive system, and he is predicting the efficient, lightweight boat will consume 2 to 3 mpg at 25 knots. "I am also offering it with Volvo&apos;s new sterndrives, which will save a considerable amount of money and deliver comparable performance," he says. More on the back-to-basics approach.